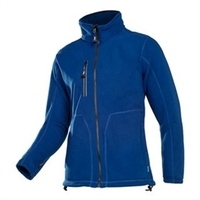 Breathable, windproof, water repellant jacket with inner of quilt and fleece, extended back, zip and storm flap fastening, chest pockets with flap. MASCOT Mataro Jacket is Breathable, wind and waterproof. Taped seams. Lining of quilt. Ribbed inner collar. Fastening with zip and storm flap with press studs. Zipped pocket under storm flap. Chest pockets with flap with magnetic fastening and reinforcement. Waterproof winter jacket with thermo welded seams, phone pocket, wide front pockets, two breast pockets one with zip, two internal pockets one with zip. EN343 Class 3/3. Breathable, windproof, water repellant jacket with inner fleece, zip and storm flap fastening, chest and front pockets with zip. 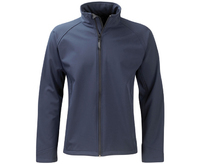 Soft shell fleece with two layer construction, contrast trim, two zip side pockets, full length zip fastening. 300g antipil fleece jacket, full zip closure, comfort cuffs, interactive zips, two hip pockets with zip closure. If a logo is required, it must be ordered separately. 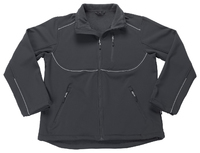 This fleece can be used as a liner for the Sabre Breathable Jacket. 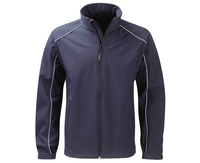 REGATTA TRA680 Classic Soft Shell Jacket with lightweight jersey backed Softshell fabric. Softshell Stretch Light fabric technology. Durable water repellent finish. Wind resistant. Super soft handle. Quick drying. Lightweight and easy to wear. 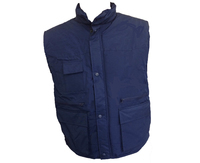 Gilet bodywarmer with quilt lining, extended back, zip and storm flap fastening, front pockets, chest pockets with flap. 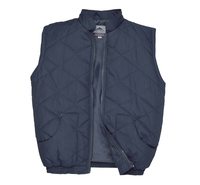 Bodywarmer with 100% polyester quilt lined, multi-pocket, quilt lined, mandarin style collar. If a logo is required, it must be ordered separately. 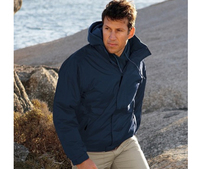 The Regatta Dover Jacket is made from a waterproof hydrafort polyester material. 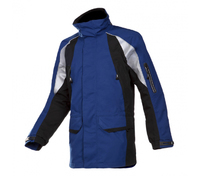 Fleece lined body, concealed hood, adjustable cuffs, 2 zipped lower pockets, velcro storm flap and polyamide lined sleeves with Thermo-Guard insulation are just some of the features of this great jacket. 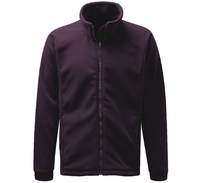 The Click Endeavour Fleece is High quality with 360gsm micro fleece with full zip front, Concealed lightweight hood with drawcord, Yoke shoulders with contrast piping, Rib knitted waistband and cuffs, Two lower pockets with zip closure, Fully lined. 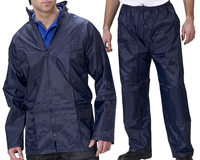 Waterproof lightweight nylon coated PVC jacket and trousers set, comes in a zipped pouch, zip and stud closure, external pockets, zipped hood in collar,, elasticated waist and leg studs on the trousers, fully taped seams. 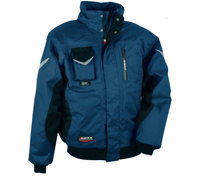 REGATTA TRA801 Fleece Bodywarmer, 210gsm series microfleece, Layer Light Fabric technology, 2 zipped lower pockets. Standard CE. 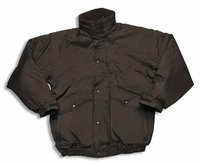 Bomber jacket with PVC coated polyester outer, quilted lining, concealed hood, fleece lined collar, heavy duty front zip, adjustable cuffs, elasticated hem, two lower, two hand warmer, one internal zipped pocket, taped seams. 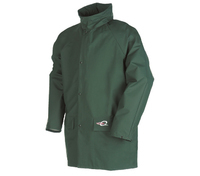 608Z SIOEN SEPP Tornhill Anorak is 100% waterproof, Windproof, Highly breathable, High tear resistant fabric. Taped seams. Straight collar and detachable hood c/w chin protection + peak. Zip closure under double flap with press studs. Zip closure pockets. Shaped sleeves with elastic at end and touch & close fastening. Underarm ventilation. Drawstring in waist and hem. Class Headwear Hi-Vis Ranger Hat: Wide brim and vented mesh panels. 150D oxford polyester. Mesh venting panels. SIOEN 612Z Fleece Jacket. Navy. REGATTA OCTAGON II 3 Layer Membrane Softshell. 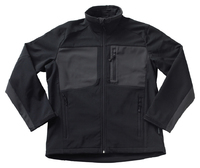 Warm backed woven Softshell XPT waterproof and breathable. Wind resistant membrane fabric. Atl durable water repellent finish. Inner zip guard. 2 zipped lower and 1 chest pocket. Adjustable shockcord hem. 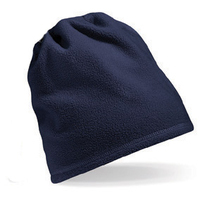 This cold-weather hat is specially insulated with Insulatex lining for extra warmth retention. 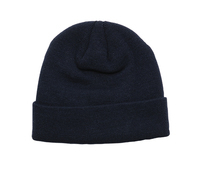 This work beanie hat is made from a fine knit acrylic fabric, is windproof and extremely comfortable to wear. Ideal for cold weather. REGATTA THOR 300 Full Zip Fleece. 300 series anti-pill Symmetry fleece. Quick drying. Easy care. Super soft handle. Fleece cuffs. 2 zipped lower pockets. Adjustable shockcord hem. Shaped fit (women's only). 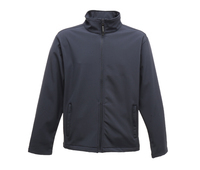 The Regatta Reid Softshell Jacket has a Warm backed woven stretch Softshell fabric.it is Durable and has water repellent finish. These jackets are great for Wind resistance. 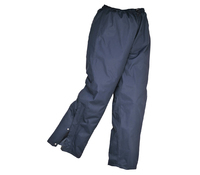 This also feastures a Super soft handle with quick drying material and 2 zipped lower pockets. Adjustable shockcord hem. If a logo is required, it must be ordered separately. 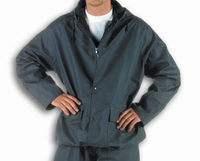 Waterproof Hydrafort 5000 peached polyester fabric. Windproof fabric. Polyester taffeta lining to the body. Critical seam taping. Concealed hood with adjuster. Internal pocket. Adjustable cuffs. 2 lower zipped pockets. Hook and loop fastening at hem for embroidery access. The Regatta Sandstorm Softshell Jacket has Hardwearing warm backed woven stretch ripstop Softshell fabric. The Durazone polyamide overlays at wear points for added strength and durability. features also include an ATL durable water repellent finish. Reflective trim to front and back, Inner zip guard, and adjustable cuffs with rubber tabs. 2 zipped lower pockets and 1 zipped chest pocket for holding items securely and an adjustable shockcord hem. Waterproof rain jacket with foldaway hood in collar, zip and stud closure, sleeve narrowing by press studs, high frequency welded seams, two inset pockets. EN343 Class 3/1. 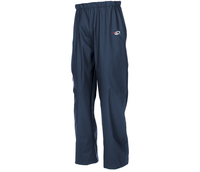 PORTWEST TK89 Trousers are 100% Nylon Dobby, Breathable, PU Coated 160gsm. Breathable garment. 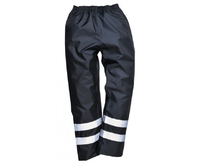 Fully elasticated waistband. Taped Seams. Zipped pockets. Zip opening with concealed press studs. Elastic waist with toggle. EN343 Class 3/3. 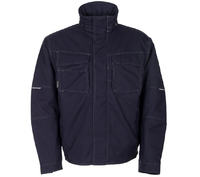 PORTWEST S433 Iona Lite Jacket Navy offers added visibility in dull conditions. 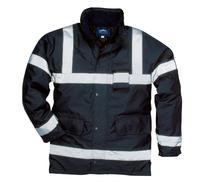 Work Jacket Features include two large pockets, an easily accessible external mobile phone/radio pocket to the chest and a drawcord hood and hem for snug fit. EN343 class 3/1, EN342 class 3. 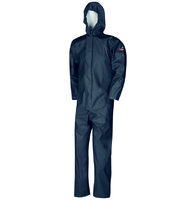 Waterproof Flexothane coverall with fixed hood, zip and hidden press stud closure, high frequency welded seams, sleeve and leg narrowing by press studs. EN343 Class 3/1. 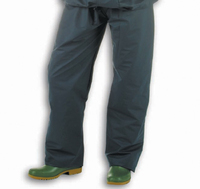 PORTWEST S481 Iona Lite Jacket Trousers offers added visibility in dull conditions. EN343 class 3/1. 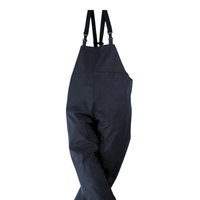 Waterproof rain bib trouser, leg narrowing by press studs, high frequency welded seams. EN343 Class 3/1. 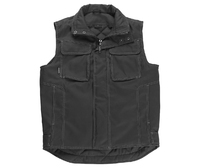 Hudson Bodywarmer. Polycotton Outer with Stand up collar. Polyester padding. Zip front with studded storm flap. 2 stud top pockets. 2 lower slanted pockets. Shoulder cuffs. Elasticated hem. Available in Black or Navy. Thinsulate Lined Acrylic Hat Navy, one size. 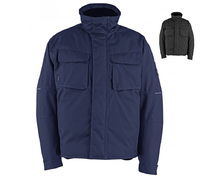 This PORTWEST PJ10 is a contemporary, stylish and practical jacket. 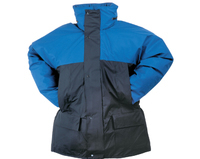 It features zip out sleeves, multiple secure pockets, removable fur liner and collar. The shower proof outer fabric adds to the appeal of this all weather style. Fabric: 60% Cotton 40% Polyester 240g, shower proof finish. Lining: 100% Polyester zip out fur liner 440g. Wadding: 100% Polyester 50g.